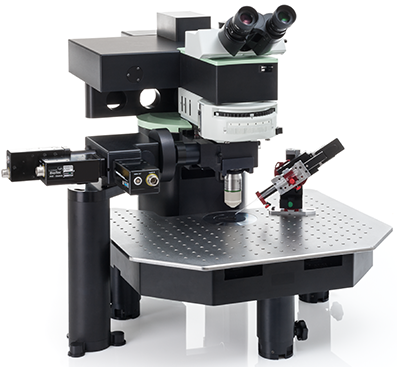 Two-photon microscopy provides three-dimensional optical sectioning with unmatched penetration depth, but minimal photobleaching and -toxicity. Thus, two-photon microscopy allows investigations of samples like living embryos, whole organs, and even entire animals in vivo that would not be possible with any other imaging technique. The TriM Scope comes with “ImSpector”, a flexible software package for hardware integration and fast data acquisition. 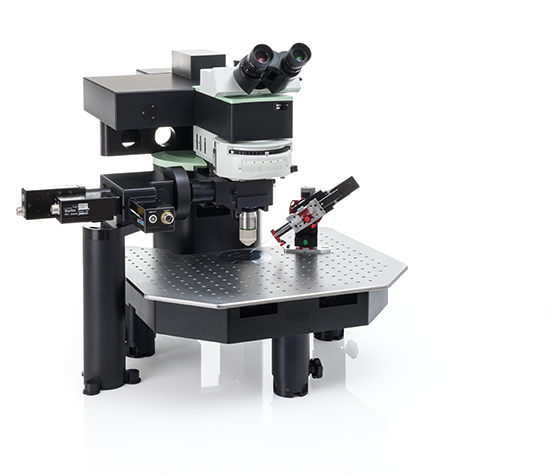 Any TriM Scope can be deliverd tailored to specific demands from the beginning, or it can be upgraded later on by adding lasers, scanhead modules, detectors, and special components for in vivo imaging, or by integration of 3rd party components. 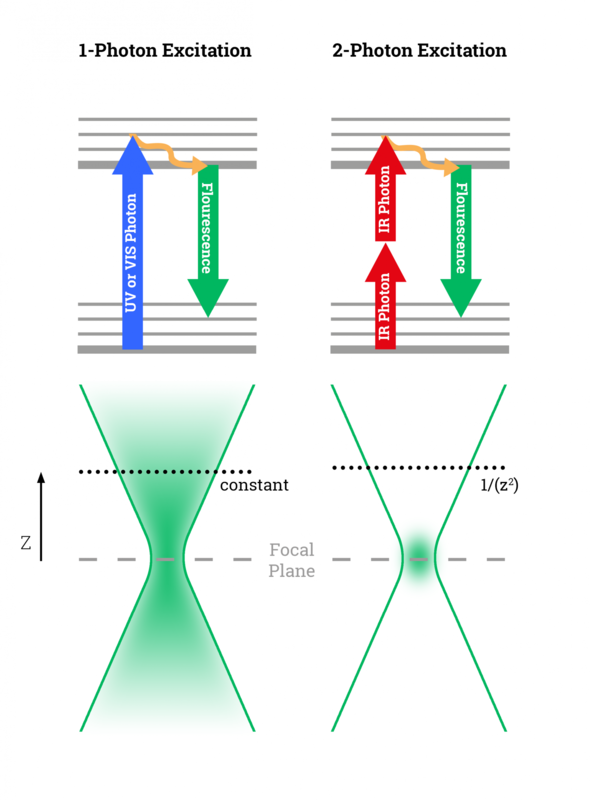 TriM Scope II "Inverted" & "Doubleheader"
The basic principle of two-photon absorption keeps excitation confined to the focal plane. Moreover, instead of visible excitation light infrared wavelengths can be used, which have less scattering and lower phototoxicity in biological tissue. These characteristics lead to brilliant spatial resolution, whereas photobleaching and -damage are kept at a minimum. Imaging can be done in deep layers, much beyond those reached with confocal microscopy, in particular in highly scattering tissue. Therefore, two-photon microscopy presents an excellent method for imaging in thick slices of tissue or entire organs, and particularly in intact animals.